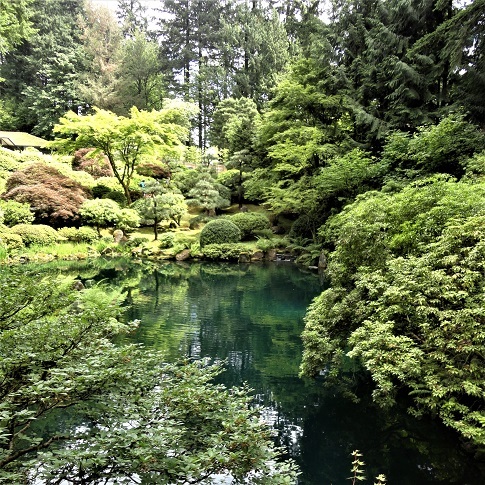 One of Must See spots in Portland for Carlos and me is the Japanese Garden, one of the most peaceful, beautiful, calming spaces I’ve ever seen. Overlooking the city, the Garden sits high in the West Hills of Portland and provides a sort of urban oasis for locals and travelers alike. 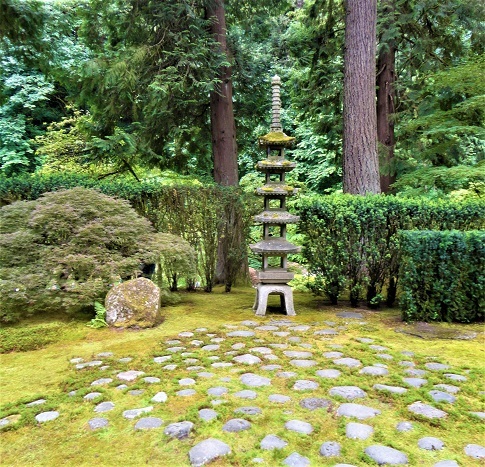 Designed in 1963 with the idea that the experience of peace can contribute to a long-lasting peace, it encompasses 12 acres with eight separate garden styles, meandering streams, intimate walkways, a spectacular view of Mt. 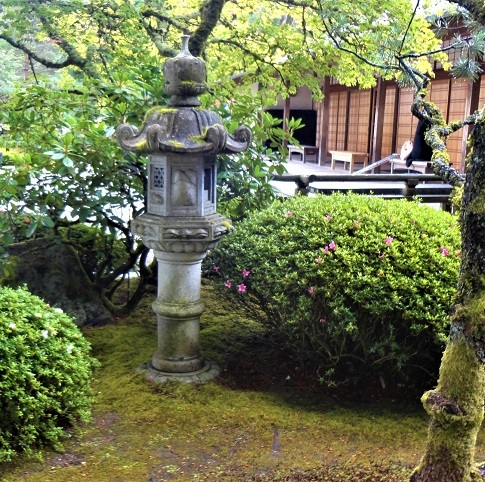 Hood, and an authentic Japanese Tea House. Back in Miami, we had several small stone Pagodas in our garden and so we love to see these stone temples spread throughout the gardens. 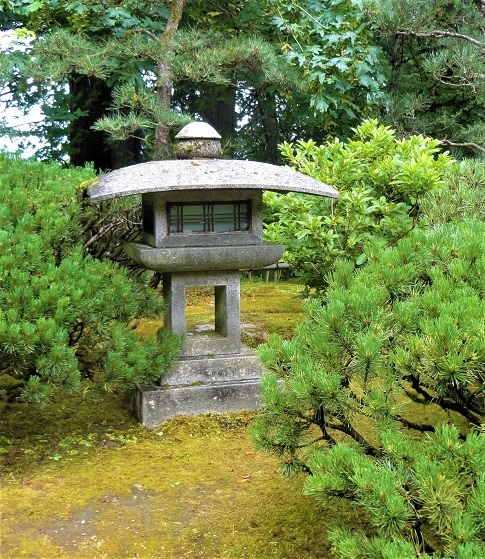 The garden was inspired in the late 1950s by growing cultural ties between Oregon and Japan. 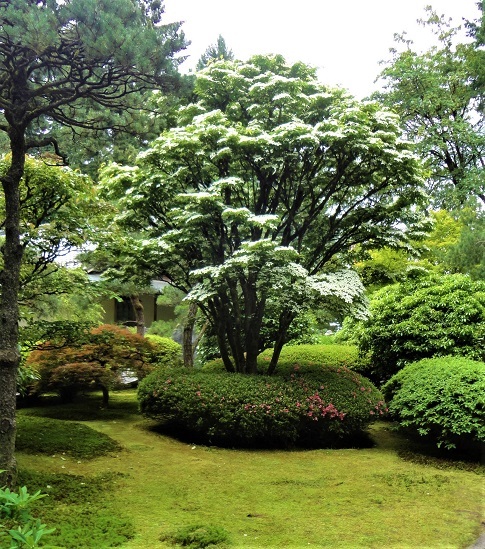 Mayor Terry Schrunk and members of the Portland community conceived the idea of building a Japanese garden on the site of the old zoo in Washington Park. 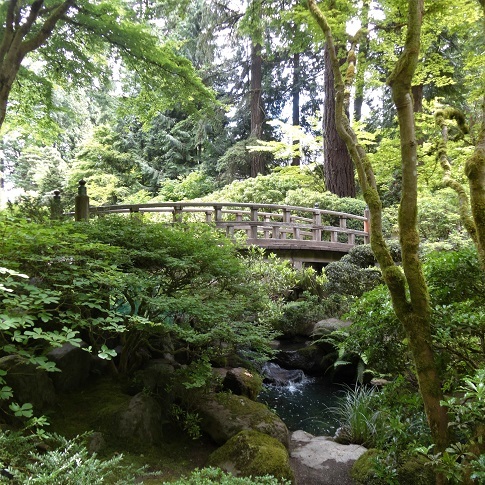 Their reasons were twofold: providing Portland with a garden of great beauty and serenity, while forging a healing connection to Japan on the heels of World War II. 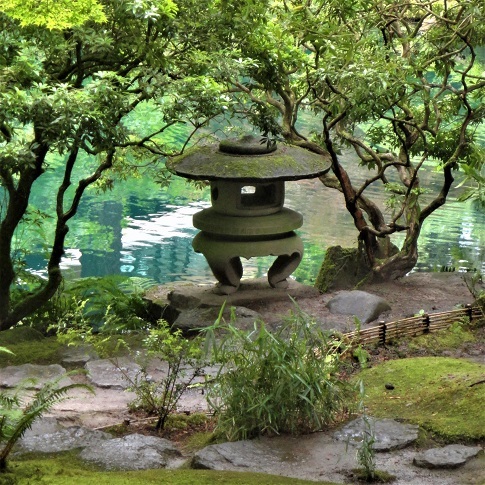 At this time in U.S. history, Japanese gardens were founded across the country as a way to build cultural understanding. Needing no translation, an American could experience firsthand Japanese ideals and values, communicated simply through nature. 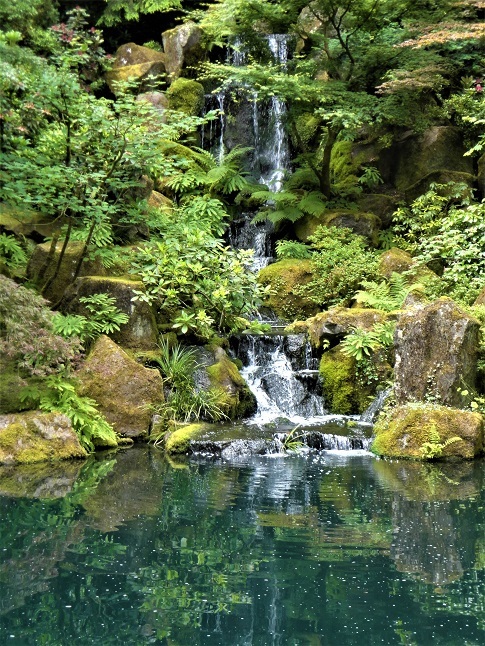 Being that it’s Portland, and on a hillside, there are steep waterfalls, and ponds and streams everywhere. 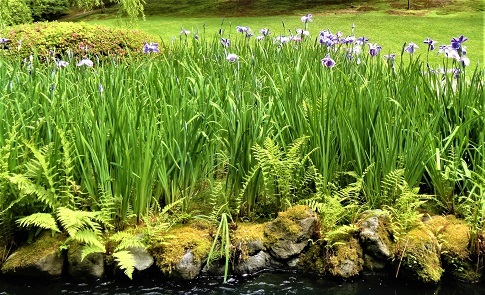 The sound of trickling water is just one more tranquil note. 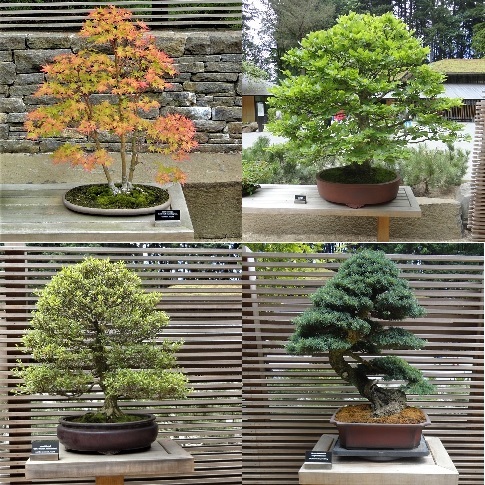 One of the great things about this visit, was the display of Bonsai, some as old as three-hundred years. Carlos had purchased a Bonsai in Coconut Grove years ago, that we still have in our sunroom today and he loved seeing these far more ancient specimens. 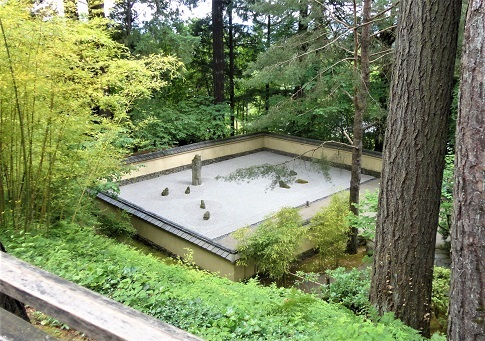 In 1968, the Kashintei Tea House was constructed in Japan, shipped in pieces, and reassembled in the Garden. Other structures were added as the five gardens evolved. 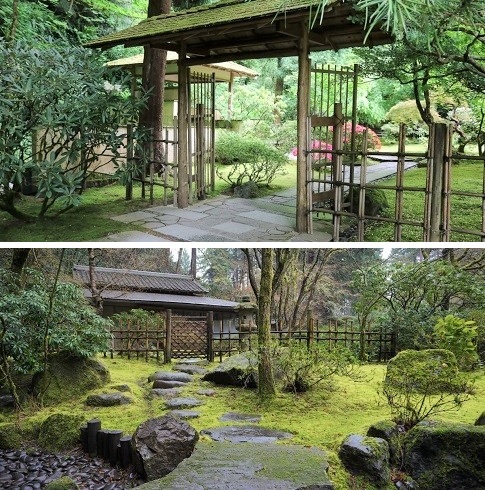 The Pavilion Gallery, which sits at the heart of the Flat Garden, was in Professor Tono’s original plan. However, it was not completed until 1980. 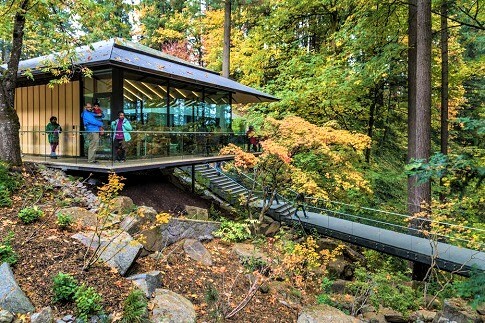 When the garden was expanded the old Tea House structure was turned into an exhibit space, and a new, modern, glass-walled Tea House was set near the entrance to overlook the hillside. 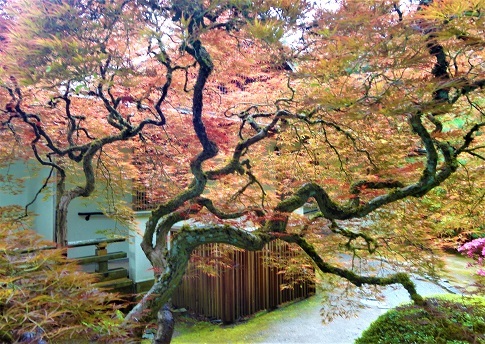 In the winter of 1981 it was decided that the Garden could be open year-round, and in 2015 the Garden partnered with architect Kengo Kuma to expand its footprint to accommodate its rapid visitor growth, as well as its ability to immerse visitors in Japanese arts and culture. 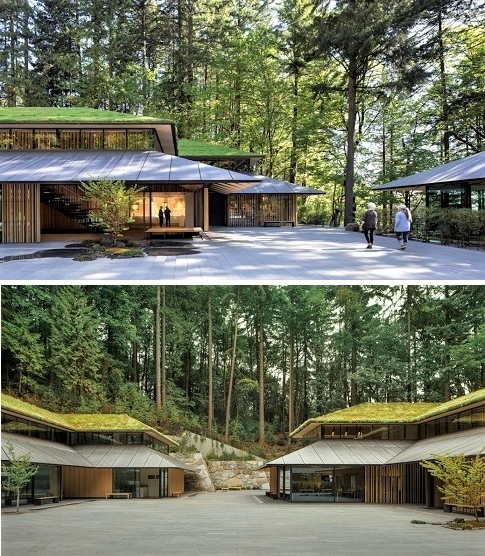 In April 2017, the Garden’s new Cultural Village opened and featured three new structures—each one LEED-certified—that exist harmoniously with nature both inside and out. 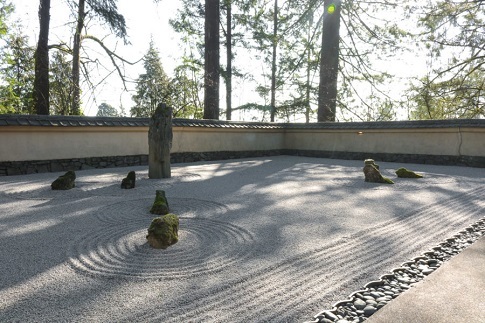 My favorite spots are the Zen Gardens, and the graceful placement of stones, and the raking of designs into the sand. 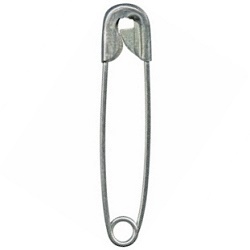 It’s just so calming. 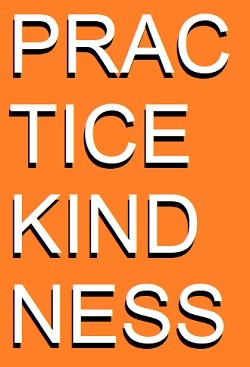 Thank you for all the lovely pictures and interesting reading. 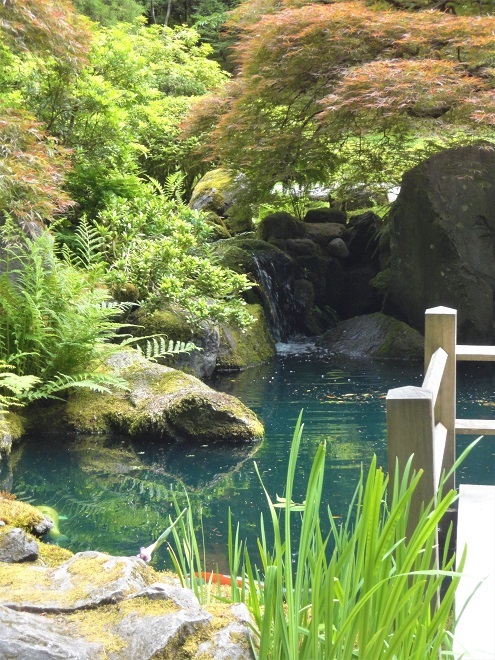 I remember, as a kid, going to the Japanese Gardens in Vancouver, BC and loving them. Wow!!!!! 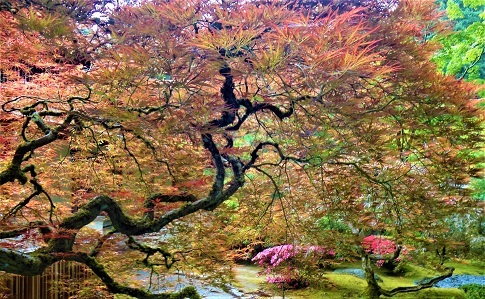 I love a good Japanese garden. We have a lovely one here in Philadelphia in the Fairmount Park section. It's stunning, especially during the cherry blossoms festival. Stunning photos! Thank you for sharing. We may have to take a trip to Portland one of these days. 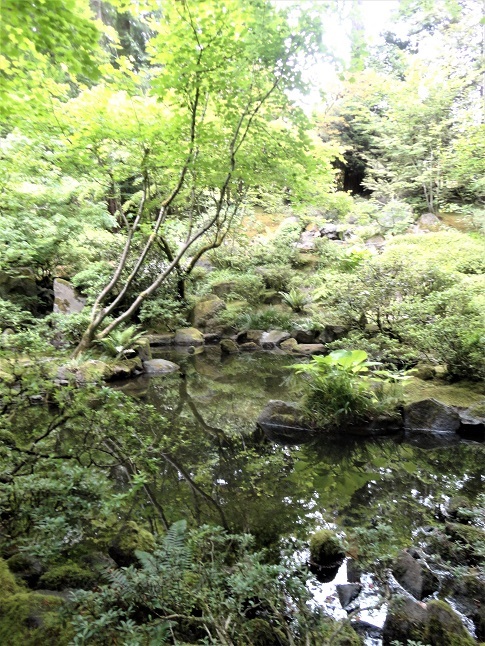 Japanese gardens are so beautiful. 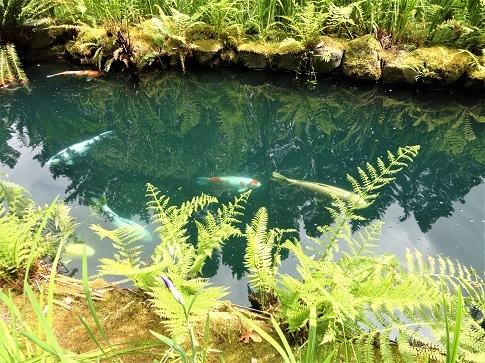 I love the Zen Garden, how it looks so much like an ocean with islands. 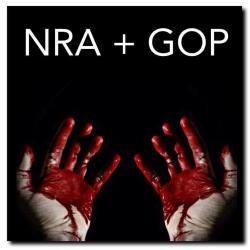 It is very calming. 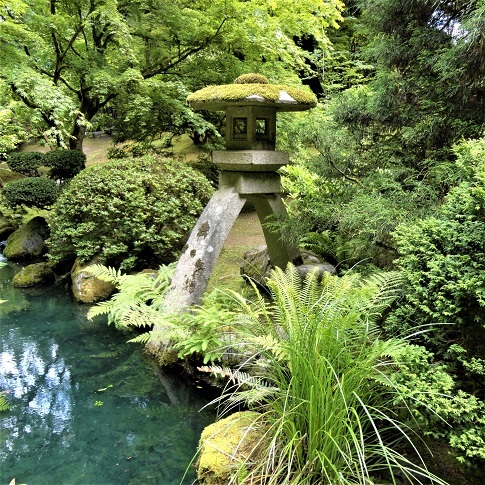 I adore Japanese Gardens and this one looks spectacular! 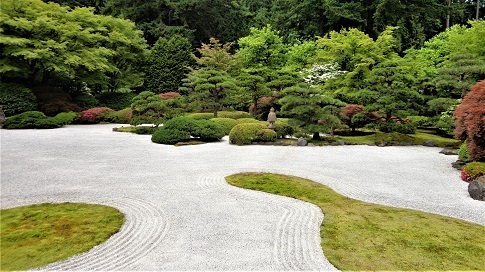 I especially love zen gardens. So peaceful and meditative! Spouse & I visited there while vacationing in Portland 10 years ago. It truly was beautiful and peaceful. Simply beautiful I was in Yokusku a bit while in the Navy, your photos capture the pure essence. I visited this spot with ex-husband back in the early 90s, right before I left him there in OR. 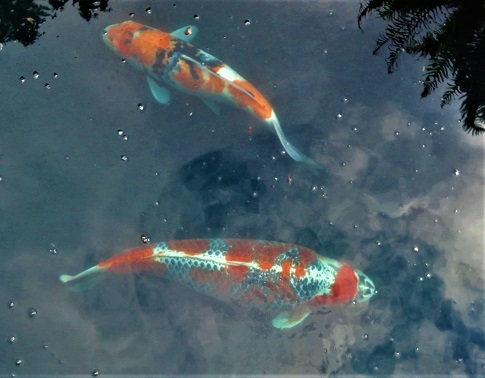 I love koi fish and bonsai trees and the zen garden. 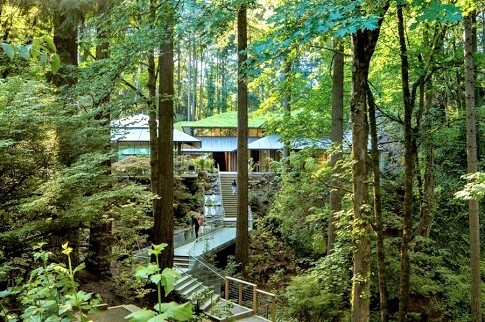 all of those, plus waterfalls, inspire calm and tranquility. Wow! I've been to some beautiful Japanese gardens, but this is spectacular.